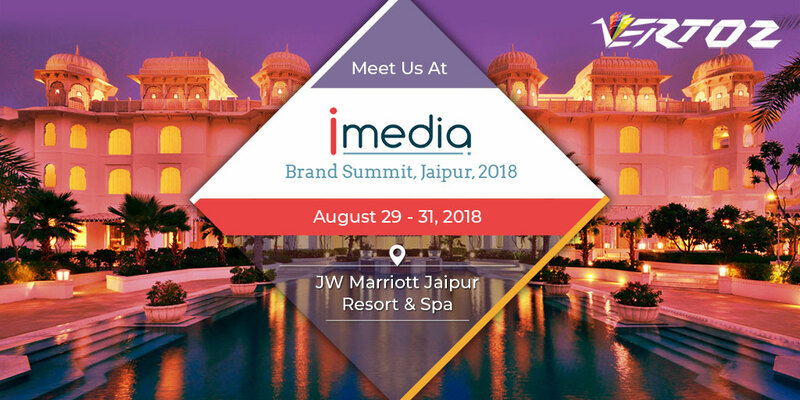 We are happy to have participated in the iMedia Brand Summit, Jaipur. The event was held between 29 – 31 August 2018 at the JW Marriott Jaipur Resort & Spa. The three-day event was one of the most influential CMO centric summits in India and offered an exclusive and invitation-only platform for powerful senior brand & agency marketers. The event enabled Vertoz to connect with the who’s who of the industry and discuss the common challenges, network, build relationships and also meet potential business partners. The event presented us with the wonderful opportunity to connect with the most innovative business leaders, top solution providers, and publishers and leverage the new vista of business opportunities in this rapidly evolving digital world.